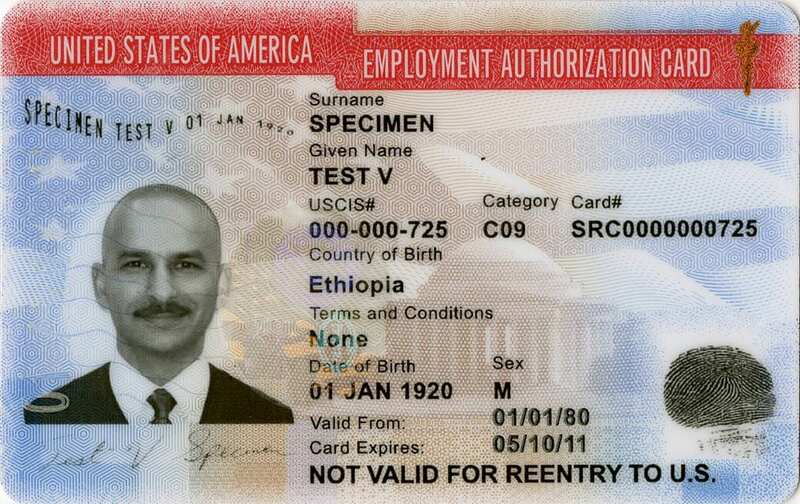 If you live in the U.S. temporarily and you need a job, you will need to file a request for Employment Authorization Document, also known as “EAD” also known as your “work permit”. This permit should not be confused with a permanent resident “green card”. A green card is evidence of your status as a Lawful Permanent Resident. An EAD is proof of your eligibility to work legally in the U.S. You may be eligible to apply for an EAD if you have a green card application filed and pending with USCIS. This allows you to work legally in the U.S. while you await your green card interview. You may also be eligible to apply based on the type of visa you currently have or have applied for. If you are a temporary foreign worker, Asylee, or in some cases a student with the ability to request work employment, you may be eligible to apply. Once you obtain the EAD, you will be able to request a Social Security Number from your local Social Security office. Thereafter, in the State of Oregon, you can then request an Oregon Driver License or Oregon Identification card by presenting both the EAD and Social Security Card to a representative at your local DMV. We can assist you with guidance on how to obtain these important documents so you are able to legally work and live in the U.S.
We can help you apply for your EAD work permit to allow you to work legally in the U.S. Our Portland Immigration Lawyer can help you determine if you are eligible to apply based on your current immigration status or based on the potential to apply for a change of status or new initial application with USCIS. We can prepare the application and mail out on your behalf so that you may be able to work to support yourself and your family while legally residing as a non-immigrant in the U.S. For answers to your questions regarding work eligibility please contact us or call us today at (866)691-9894.